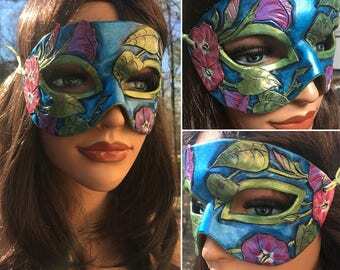 Announcement Welcome to my shop where you can find Art Nouveau and butterfly inspired masks and leather crafts. 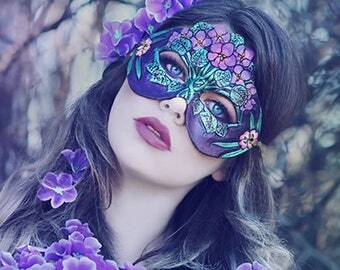 Reveal the soul within through masquerade! 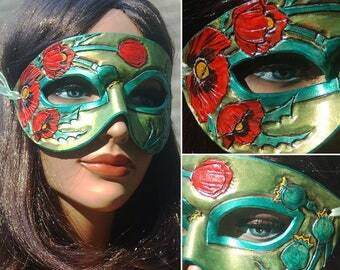 Welcome to my shop where you can find Art Nouveau and butterfly inspired masks and leather crafts. 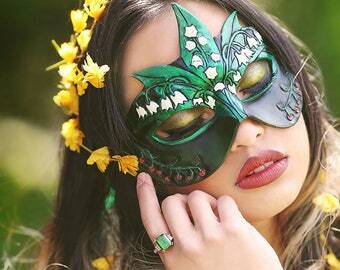 Reveal the soul within through masquerade! 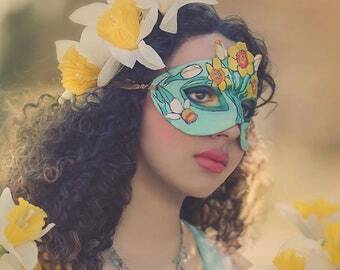 Tarot: The Star Mask. Photography by Winter Kelly. 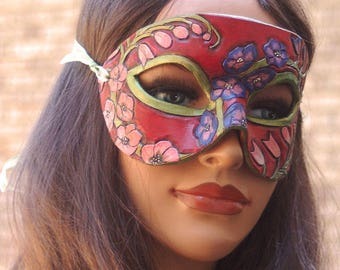 January's Mask. Photography by Winter Kelly. 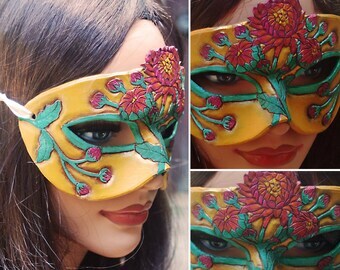 Hand painted masks made from tooled leather. Hand painted leather jewelry. Photography by Winter Kelly. I transfer my love of painting fantasy art onto the canvas of leather. Currently based in Atlanta, Georgia, I learned my trade from the tutorials of Andrea Masse-Tongetti (merimask.etsy.com). 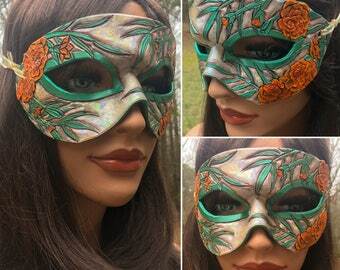 Inspired by her techniques, I finally found an outlet for my love of the symbolism and beauty of masks! 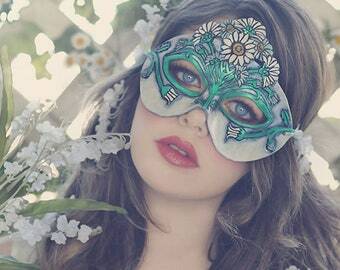 I have been crafting masks ever since that very first experiment in 2009. 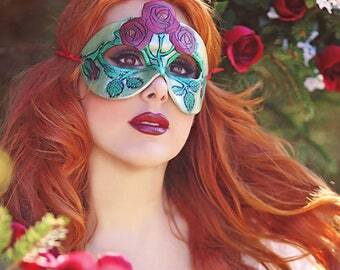 I work as a fantasy illustrator by day, where my love of Art Nouveau and Romantic art inspires my leather crafts. My leather items are meticulously carved by hand, soaked in water, and baked in the oven to harden them. After hardening, I paint my items by hand, where I get to have the real fun of the entire process. Author of the art how-to book Angelic Visions from Impact Books, Angela transfers her love of painting illustrations into painting on leather to create unique masks and leather items.